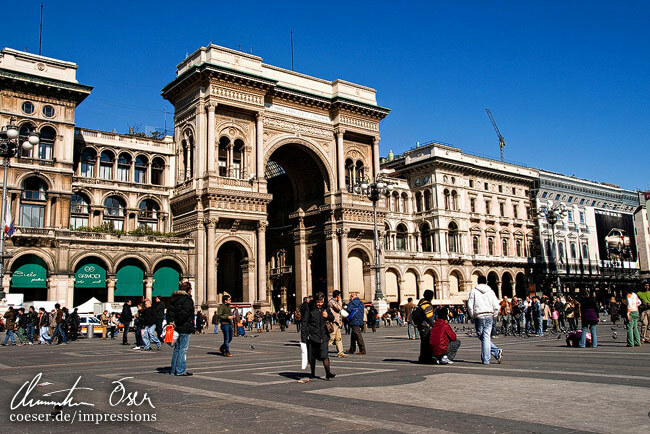 Triumphal arch of the Galleria Vittorio Emanuele II at the Piazza del Duomo. Triumphbogen der Galleria Vittorio Emanuele II am Piazza del Duomo. 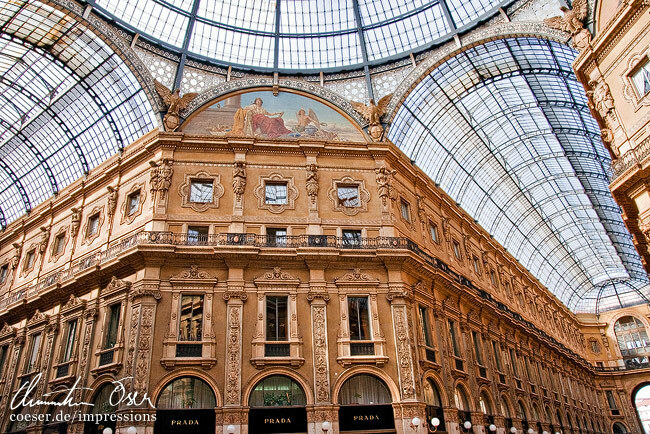 Interior of the Galleria Vittorio Emanuele II. Innenansicht der Galleria Vittorio Emanuele II. A very old tramway on route. 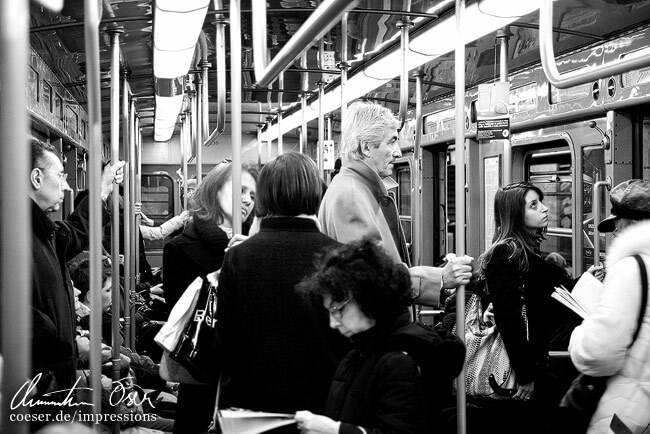 Inside of a tramway in Milan. 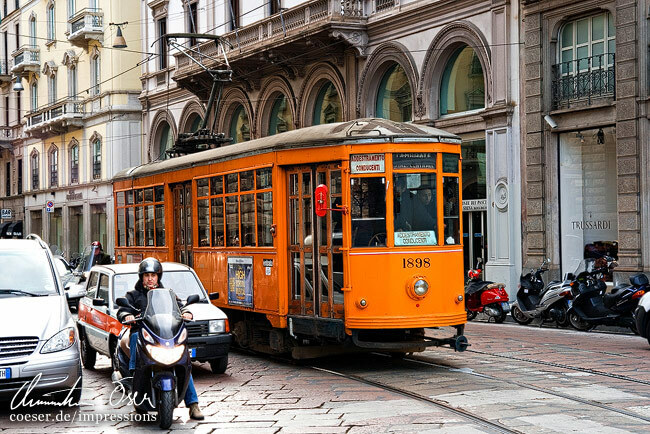 In einer Straßenbahn in Mailand. 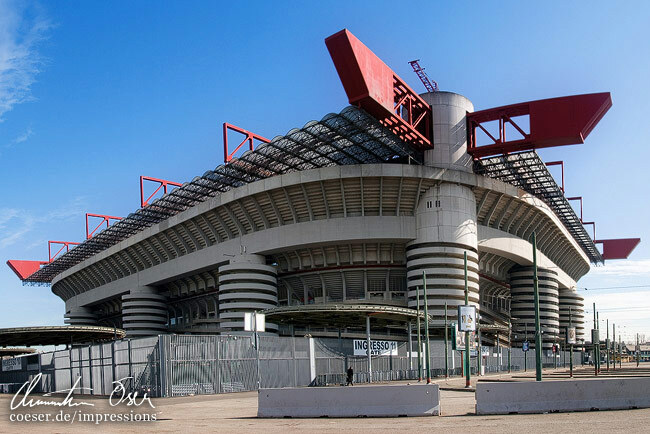 Outside view of the San Siro or Giuseppe Meazza stadium. Außenansicht des San-Siro- oder Giuseppe-Meazza-Stadions. 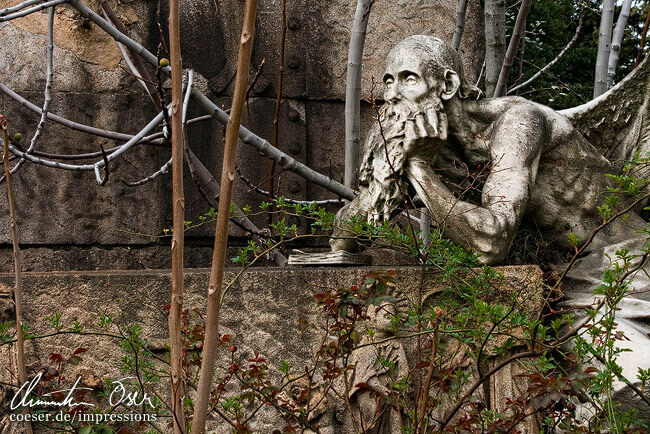 One of the artistic tomb statues in the Cimitero Monumentale cemetery. Eine der künstlerischen Grabstatuen am Friedhof Cimitero Monumentale. 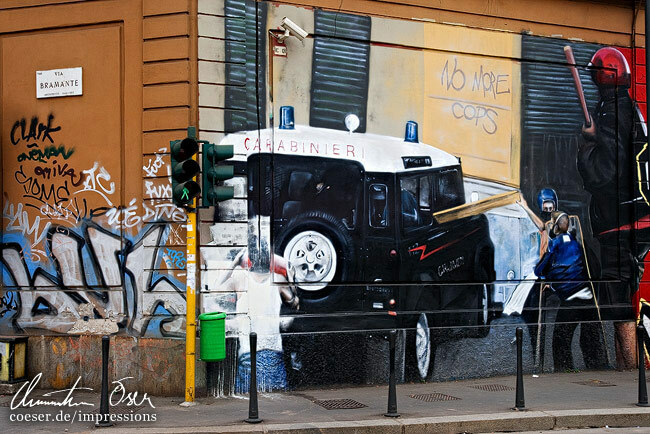 Graffiti of a Carabinieri police car on a wall. Graffiti eines Carabinieri-Polizeiautos an einer Wand. 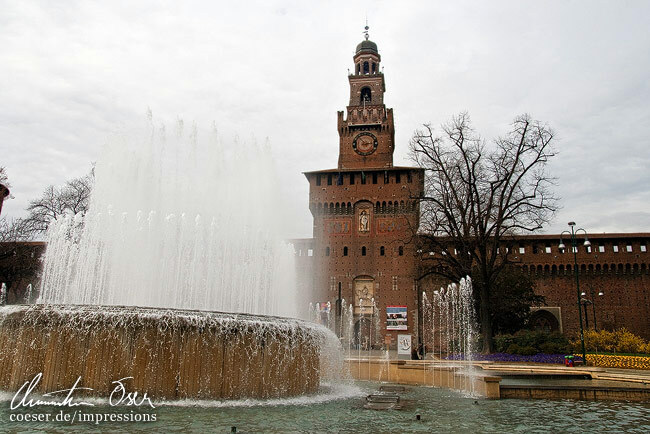 A fountain in front of the Castello Sforzesco (Sforza Castle). Ein Brunnen vor dem Castello-Sforzesco-Schloss. 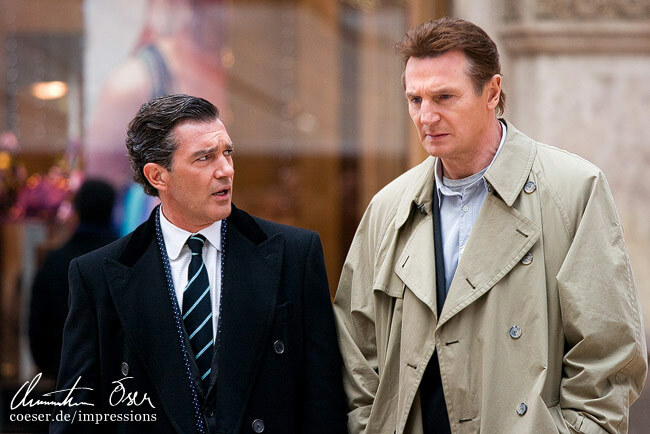 Antonio Banderas and Liam Neeson while shooting the movie "The Other Man". Antonio Banderas und Liam Neeson während Dreharbeiten für den Film "The Other Man".